As of this post, all art sent! Check your whispers! I want to take this moment, to remind folks of an important fact to keep in mind. Two actualy. 1.) download your art from the drop box link and save to your hard drive and/or prefered location and ALWAYS ALWAYS have it backed up. 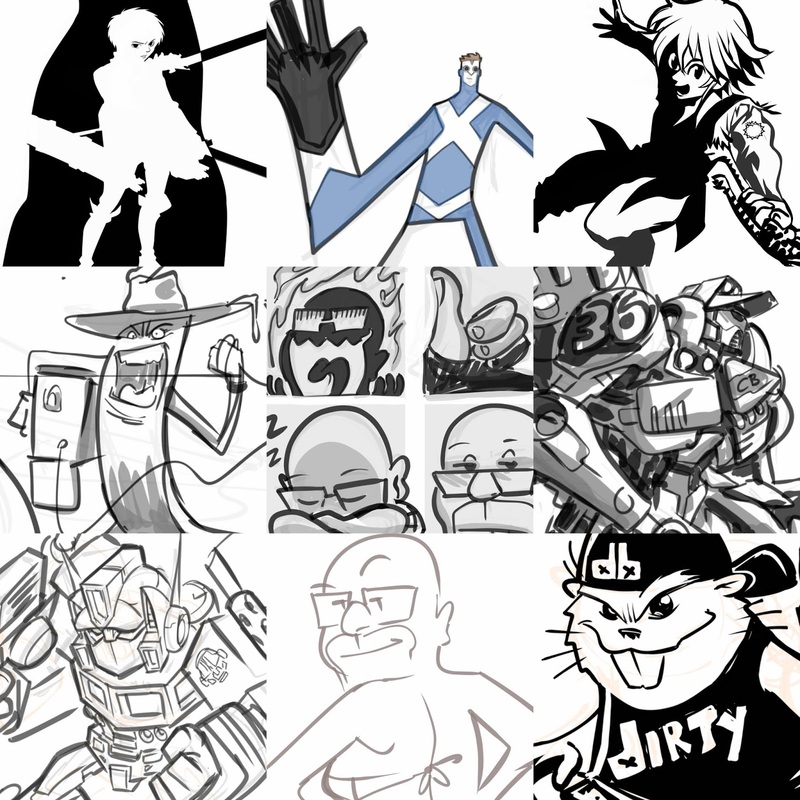 I will periodicaly clean out drop box folders of art that I send to clients. I am not providing a storage service. I am simply transfering them to you. The files will be removed after a week anytime without notice. 2.) When downloading your art be sure to click the 'download' button not just right click and save the thumb. The thumbnail is low resolution. The download will give you the high resolution 300dpi jpg file that Eryck Webb Graphics has provided you. Thanks so much and enjoy your art!!! On the side note, thank you for several inquiries lately about commissions and hiring me for work. Please read all the info at twitch.tv/eryckwebb in the profile / info boxes to see what options I currently provide. Right now I have all the work I can handle via the stream, and am not taking outside commissions. But come out, get yourself ahead of the line, or just added to the queue and I'll be happy to help you in real-time on stream! Monday-Friday 10amET on twitch!!!! Thanks for a fun Wednesday stream. Did a lot of memorable drawings, had a lot of memorable moments. Met a lot of new followers. Great to meet you guys. In other news, still currently in the proofreading/ final stages of the new book, stay tuned for more updates. Eventually after everything checks out with the printer we'll have a launch stream to celebrate the release. Will be back with fresh sauce tomorrow morning 10am Eastern Time for all the drawing action. Same drawing time, same drawing channel.